As Chairman and former CEO of John Hardy – a luxury brand of handmade designer jewellery – Damien Dernoncourt is regarded as the driving force behind the company’s evolution into a true global luxury brand. From 2003 to 2014, he oversaw an international team of over 1500 individuals across the company’s facilities in Bali, Hong Kong, Bangkok and New York. An expert speaker on social strategy to improve employees well-being and shareholder return, he is now looking for his next venture. Prior to joining John Hardy, French born Dernoncourt began his career in Hong Kong in 1995, where he spent his early years leading a buying office for a major French importer. Following this role, Dernoncourt utilised his experience to establish Asiapack, a packaging and logistics company in China. One year after he joined the John Hardy Group in 2003, Dernoncourt was promoted to President, bestowing him the responsibility of organising the company’s management team and streamlining operations. 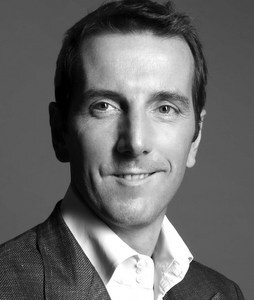 Through a management buyout, Dernoncourt along with John Hardy Head Designer and Creative Director, Guy Bedarida, assumed control of the company in 2007 with the support of a private equity group. They went on to establish a unique strategic relationship to build the next generation of the John Hardy family. Under his leadership, John Hardy evolved into a global pioneer in Sustainable Luxury™ with focuses on environmental accountability, social responsibility and cultural preservation. To-date, John Hardy has planted 900,000 bamboo seedlings throughout Bali to offset the company’s carbon emission. Dernoncourt has been credited with building the John Hardy into one of the most successful jewellery brands in the US. His foresight has impressively expanded the company’s growth in Europe, Asia and the Middle East. He is also dedicated to ensure that the company continues to be a pioneer in the area of environment, local culture preservation and sustainability. "Damien is responsible for turning John Hardy into a high-end accessories brand, that was sold for over US$100 million in 2014. With a deep knowledge of how business operates in Asia, he offers valuable insight into social entrepreneurism, the importance of sustainable business, and getting the best out of working with partners."